Haven Golf Course offers an 18-hole, championship course and a nine-hole, par-3 course called Tortuga. 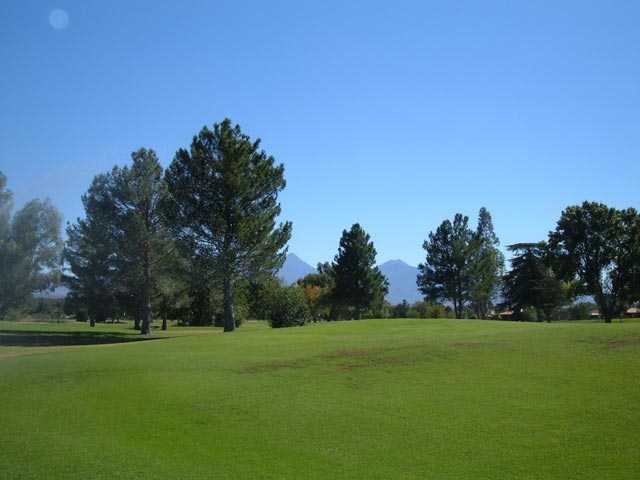 Tortuga Golf Course is the only par-3 course in Green Valley. Located adjacent to the 18-hole golf course, both layouts share a landscape of mature pines, palms, and eucalyptus trees. First of all, the staff at the Haven Golf Course is extremely friendly. I decided to give Tortuga a try on a nice sunny afternoon when I didn't have time for a real round. The course is more of a pitch and putt, but nice nonetheless. None of the holes are longer than 90 yards, with most of them around 60-70 yds. The tees were a bit beat up, but the greens were nice and in good condition. Take a sand wedge and a putter, and test yourself with some shotmaking. Even for a short course, the greens were hard to hit as they are quite small. For $16 you cant complain, perfect way to eat up an hour or so in the sun and relax a bit. Also a good place to take the little ones to let them whack it around without the stress of holding up other groups on the big course.